Production: no official (or unofficial) production numbers available. The Fender Telecaster (Nocaster) guitar is one of the most popular solidbody electric guitar ever made, and is the solidbody guitar that started it all. 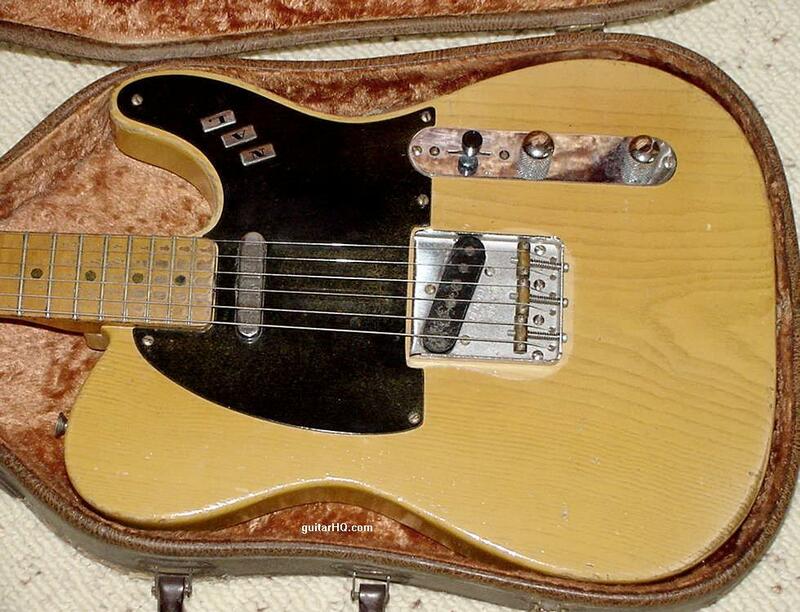 Early models (pre-1965, known as "pre-CBS" models, since CBS bought Fender in January 1965) are the most collectible. 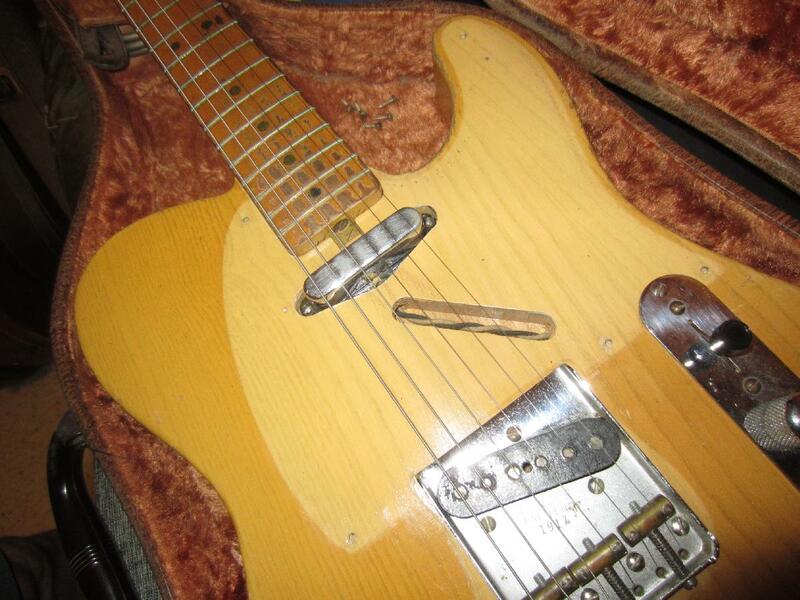 Originality and condition are the two most important features of a vintage Fender guitar, and Fender Telecaster, Nocaster, Broadcaster, and Esquires (Teles) do seem to have been easily modified (due to their "bolt together" nature). 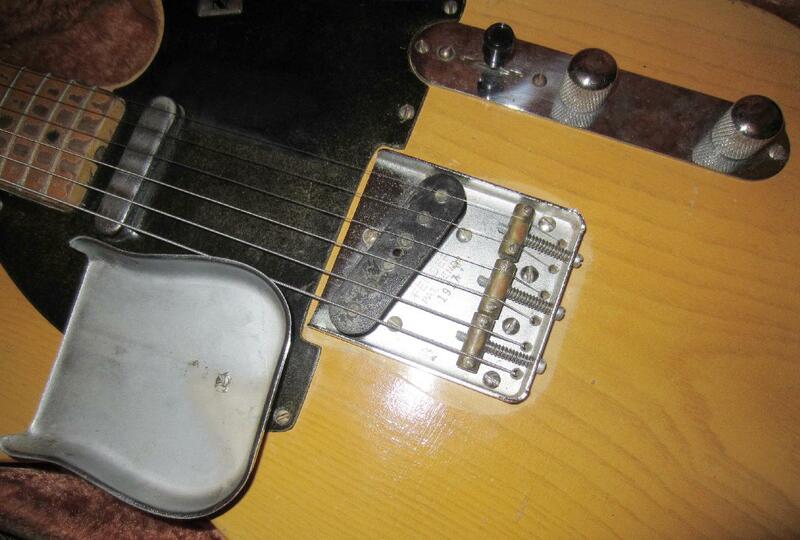 Serial number range for the 1951 Fender Nocaster and Telecaster are generally 0100 to 4000 (stamped into the bridge plate). If you need to figure out the exact year of your pre-CBS Fender Nocaster or Telecaster, use the serial number and the general features of the guitar. The serial number is located on the bridge until mid-1954, when it was moved to the back metal neck plate. 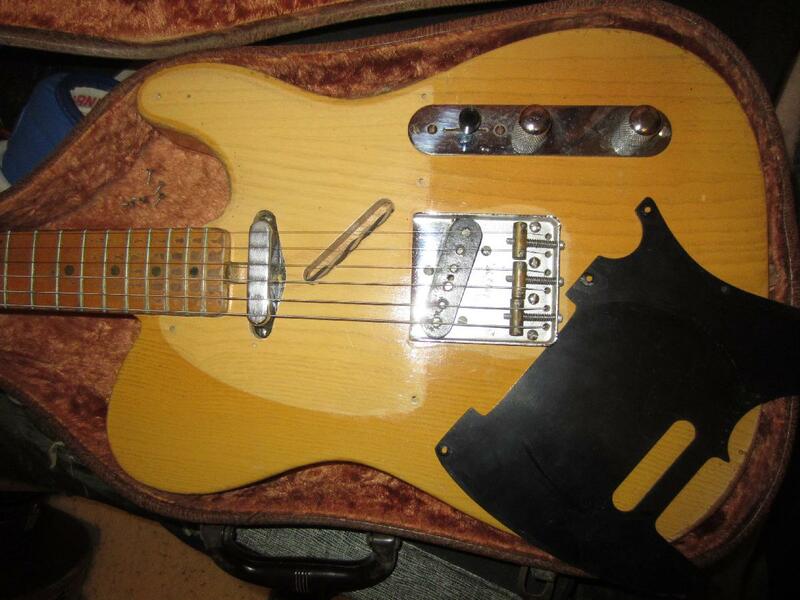 See the Fender Serial Number Info web page for help determining the year. 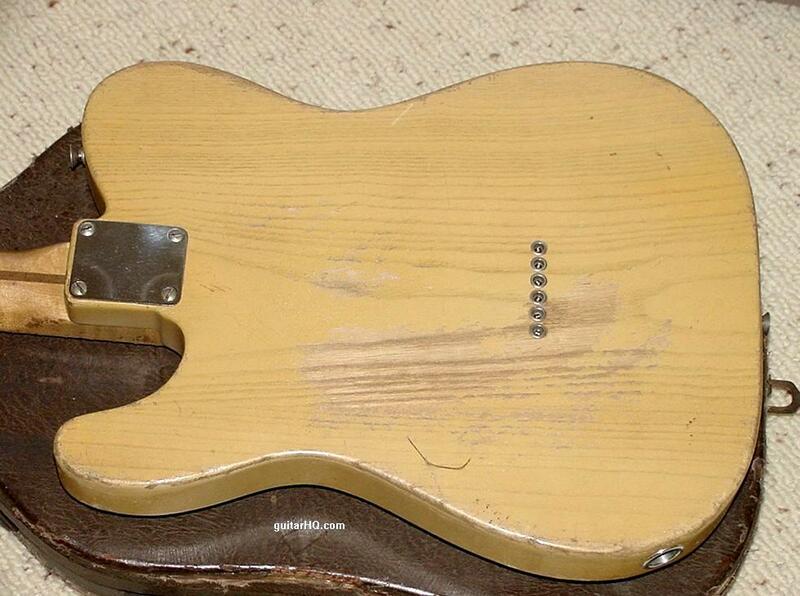 See the next year's 1952/1953 Fender Telecaster guitar. 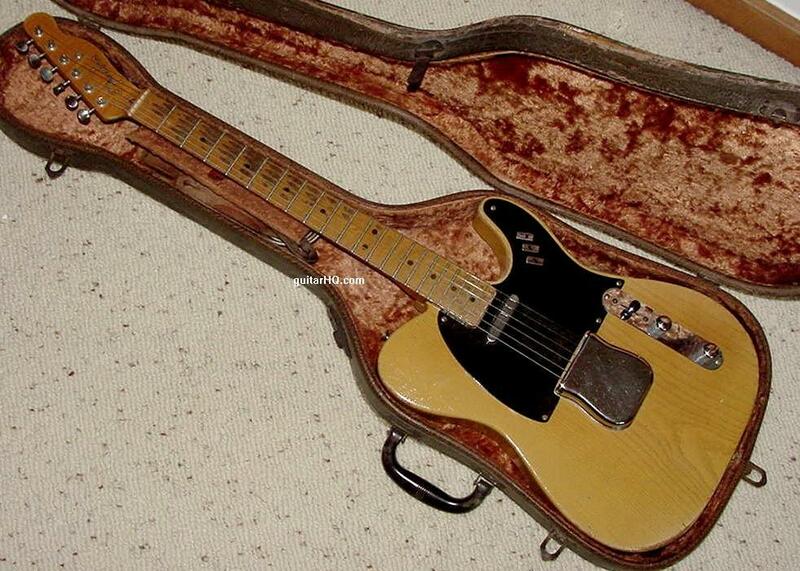 See the previous year's 1950 Fender Broadcaster guitar. The diagonal route between the neck pickup and the pot cavity is always present. In addition, there is also sometimes a hole going from the neck pickup to the bridge pickup that was used on Broadcasters for the neck pickup wiring (which is not used on the Nocaster). Note some early NoCasters do not have the diagonal route. Kluson Deluxe tuners with NO "Kluson Deluxe" in a single vertical line (aka "no line"), no second hole on side of gear shell (for the tuner peg), NO "pat. appl" on side bottom side of gear shell (moved to underside of tuner base). Brass brige pickup grounding plate. Sometimes a "D" stamp is seen on either the neck or body neck pocket, or both until 1954. According to Smith, about 1100 Fender guitars were made during 1951 where 275 were single pickup Esquires, 100 Broadcasters, and about 475 Nocasters and 250 Telecasters. After all the cut "NoCaster" decals were used, "Telecaster" decals appear around 9/51. Still a silver "spaghetti" Fender logo with black trim. 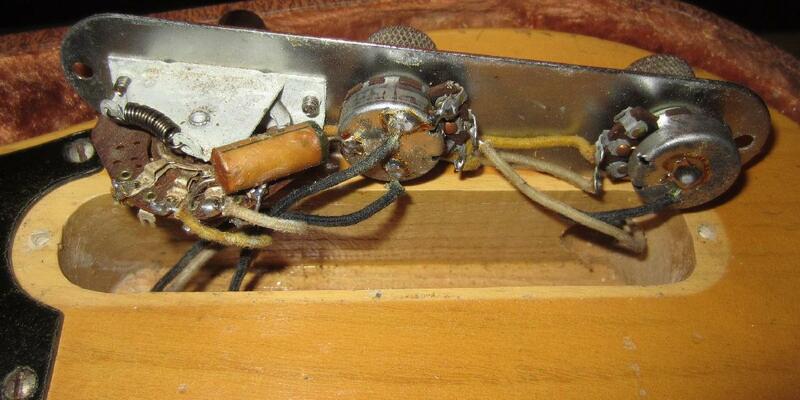 The placement of the Fender logo between spring 1951 and late 1951 is parallel to the neck end and not at an angle, as seen before and after last 1951. Kluson Deluxe tuners with NO "Kluson Deluxe" in a single vertical line (aka "no line"), ADDED second hole on side of gear shell (for the tuner peg). Truss rod adjustment screw changed from slot. 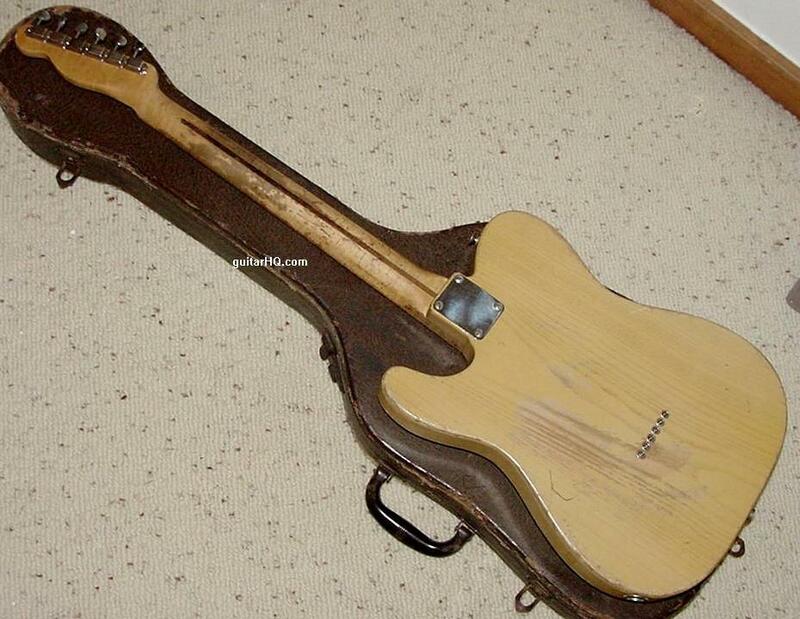 A February 1951 Fender Nocaster with original case.